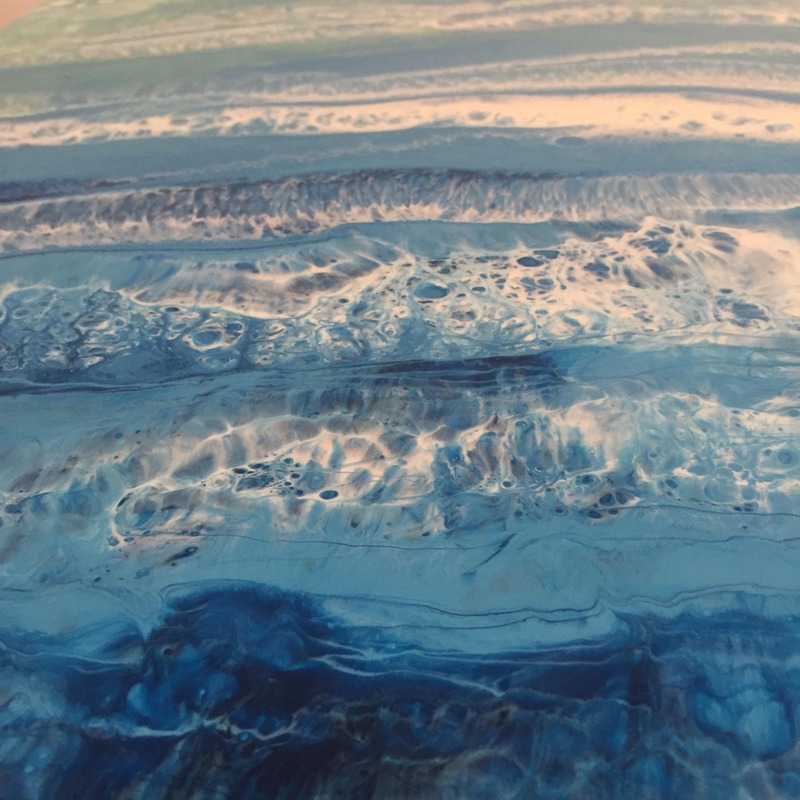 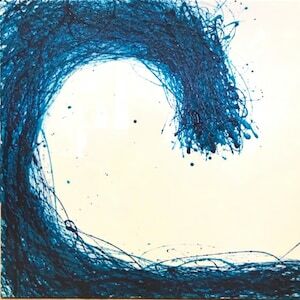 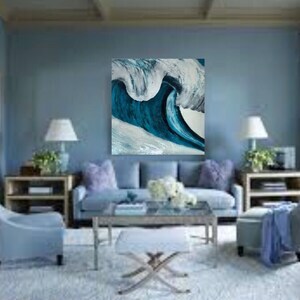 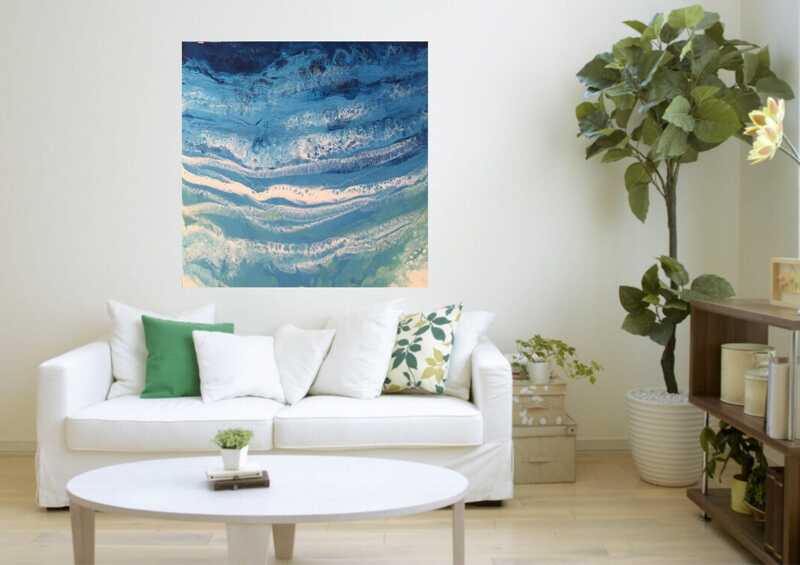 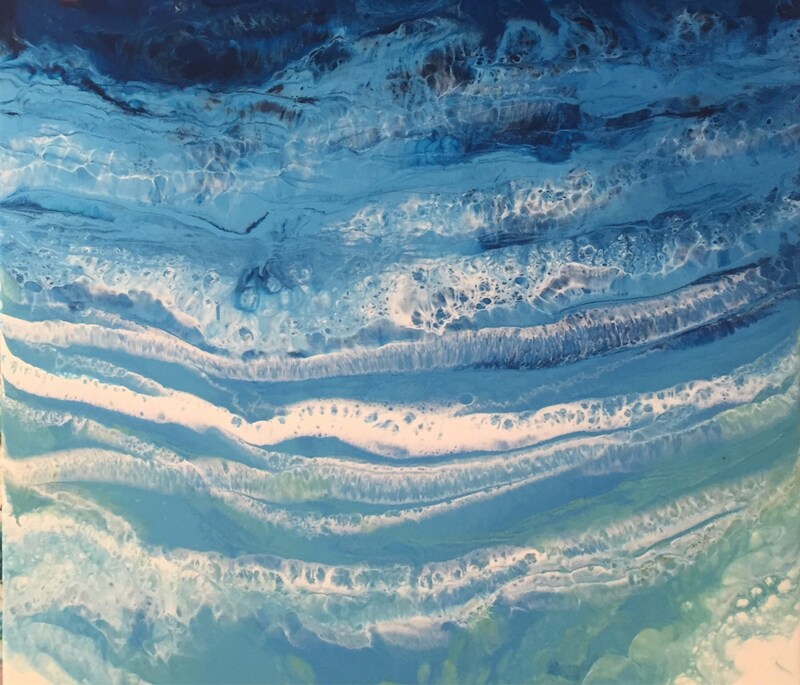 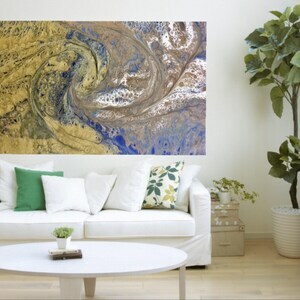 The Shore Line - Calm sea | Is a beautifully created abstract art wave created by Emma Jones Art Studio and is 2 x 2 ft in Size. 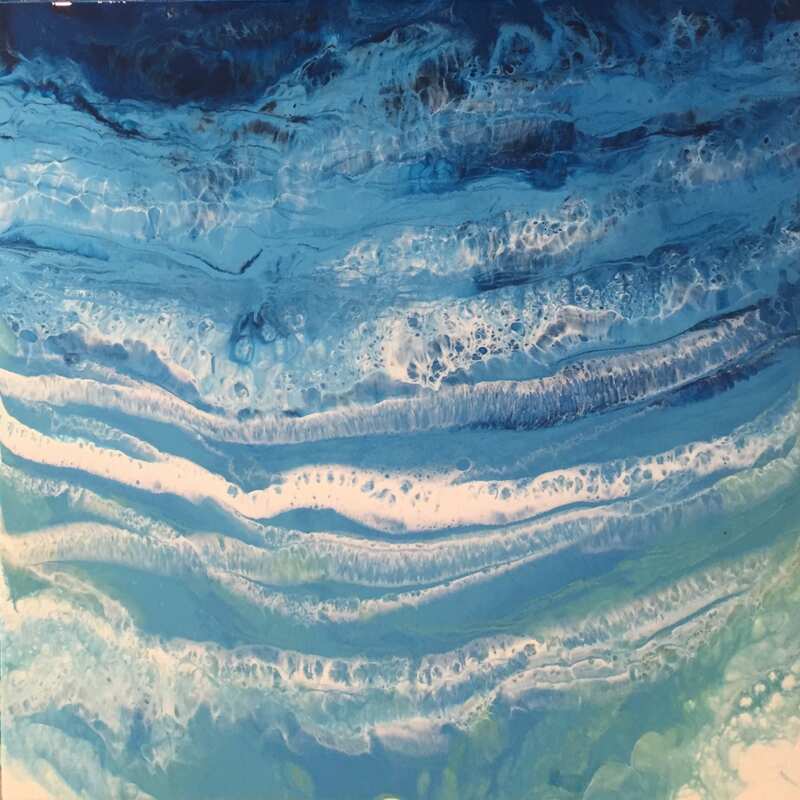 The piece was created after many a walk along Sandbanks front, watching the paddleboarders on a calm sunny day and watching the swell bouncing off the break wall inspired this piece. 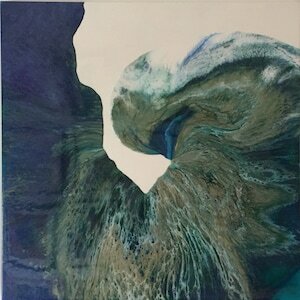 I can frame the piece in a floating contemporary white wooden frame for £60 to give an example of options available.